Bag Balm is a useful product to keep in your pet's first aid kit. You can apply it to most any type of skin irritation, infection or rash. Use it on dry, chapped areas to moisturize, soothe and heal the skin. "My paws are softer than your hands. Thanks, Bag Balm." Bag Balm soothes and heals chapped skin on dogs, including teats, paws and noses. It promotes healing on superficial abrasions, skin wounds and rashes by forming a protective barrier and restoring moisture to skin for healing. Bag Balm has no specific side effects; a Bag Balm product information sheet says it exhibits mild pesticide properties and prevents or treats fungal and bacterial infection. The three active ingredients in Bag Balm are lanolin, petrolatum and 8-hydroxyquinoline. Lanolin is a natural product in sheep wool to soften rough, dry skin and soothe irritation. Petrolatum retains moisture in skin to provide better hydration; 8-hydroxyquinoline is a mild antiseptic to help treat minor skin infections. Protect dog paw pads in winter by applying a thin, even layer of Bag Balm before a walk in snow or icy conditions. When returning home after your walk, wash your dog's paws with a warm washcloth to remove any ice-melt products, ice or snow. Apply another thin layer of Bag Balm to protect and soothe any abrasions to the paw pads. Apply Bag Balm in a liberal layer to any superficial cut, wound, rash, irritated area of skin or chapped skin on your dog and rub it into the skin. Use until the conditions are clear, or as directed by your veterinarian. You can repeat the application once or twice daily. Continuous use can cause irritation. Use this medication as directed by your veterinarian. Store Bag Balm away from excess heat at room temperature. Do not use on puncture wounds or deep cuts; see your veterinarian instead. 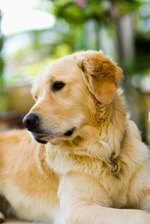 If skin rash or irritation develops, see your veterinarian.